The Fashion Team at LE.R. PR is excited to see Engineered for Motion appear on MIC Magazine. 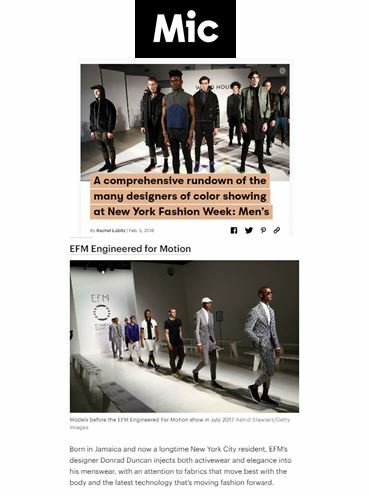 The brand is included in a rundown of designers of color showing at New York Men’s Fashion Week.